Surgery of the ear where ears can be “pinned back” by reshaping the cartilage. Recovery time is about one week. 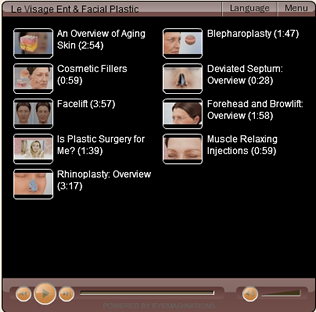 Surgery to minimize forehead lines and wrinkles, and elevate brows to reduce lid drooping. Recovery time is about 10 days. Surgery beneath the chin to eliminate “double” chin; excess fat is removed. This may be done using a liposuction technique. This procedure involves removing the existing scar and creating a less noticeable scar. Many times this will make it less likely for the eye to follow it and easier to hide with make up. These procedures may also be combined with minimally invasive treatments and skin care treatments to achieve an optimal result. A chin implant reshapes the chin to help provide a harmonious balance to the facial features. Many times a plastic surgeon will recommend a chin implant to a patient having nose surgery in order to achieve a more satisfying facial proportion, since the size of the chin may magnify or minimize the perceived size of the nose and vice versa. Whether or not we notice it consciously, full cheeks are often a part of how we judge a person’s face. Cheek implants can have a major impact on the appearance and self-confidence of patients whose cheeks have thinned or sunken due to age, illness or other causes. Implant sizes and shapes are tailored to each patient’s desired appearance. 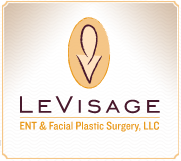 For more information on our Cosmetic Surgical Procedures or to make an appointment, call us at 301.897.LVLV (5858).